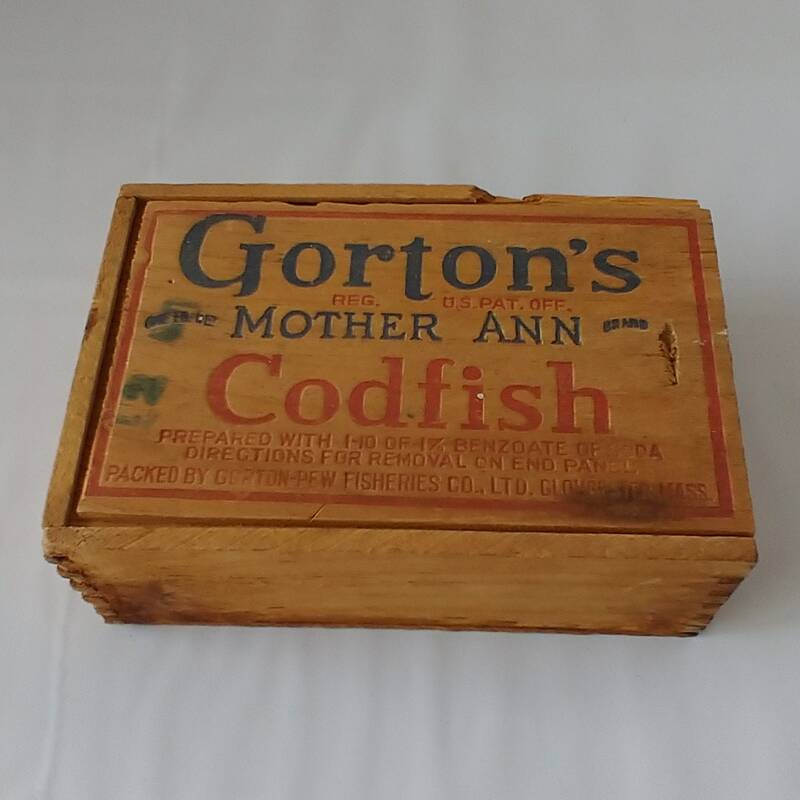 This collectible vintage wood box was produced in the 1930s to hold one pound of Gorton's Mother Ann Brand Codfish. Now empty, the slide-top box still has vivid typography in dark blue and red on the top and dark blue on one side. The box, constructed with dove-tail joints is 6 inches long by 4 inches wide and 2 1/8 inches tall. CONDITION: The box has an aged patina and worn edges. 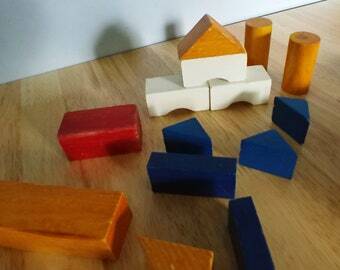 The top edge of the box has a missing piece of wood. There are stains on the interior and the exterior of the box.